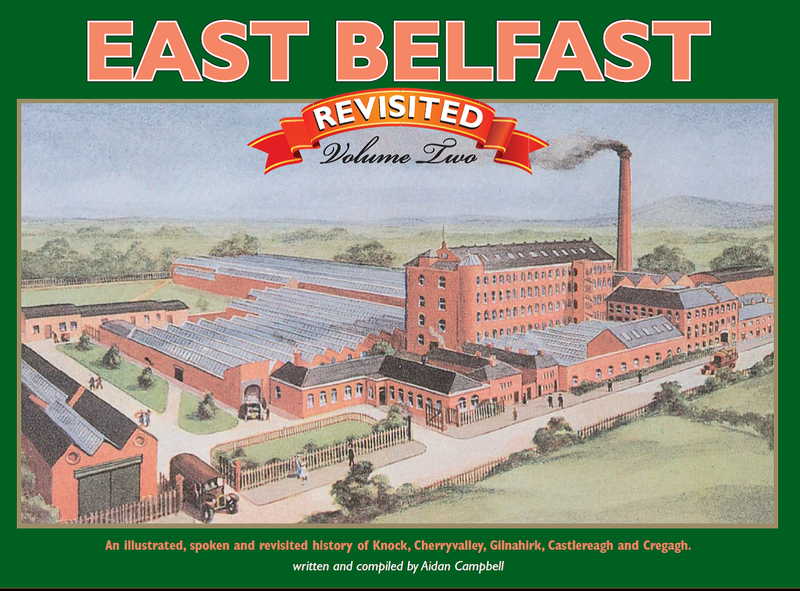 East Belfast Revisited Volume 2 accompanies East Belfast Revisited Volume 1. It takes another look at the areas of Knock, Cherryvalley, Gilnahirk, Castlereagh and Cregagh and contains freshly gathered materials which, for the most part, have not been previously published. As before it recalls the story of how the once rural surroundings have developed into an urban environment and brings back memories of big houses, small houses, shops, businesses, clubs, societies, sports, games and pastimes, families, schools, churches, old means of transport, everyday events and grand occasions, wartime and daily life. The story looks at the way things used to be. S.D. Bell & Co moved to this large house called ‘Wandsworth Villa’ in 1900. It is located at the junction where Wandsworth Road meets the Upper Newtownards Road at Knock. The tea and coffee business was downstairs and the living accommodation was upstairs. 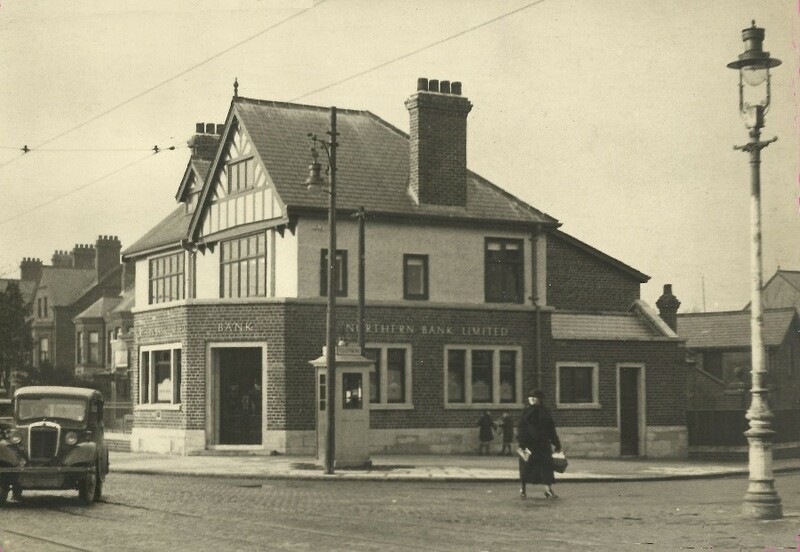 In 1926 the Northern Bank Limited moved into Wandsworth Villa and new premises for S.D. Bell were constructed next door. In this scene from 1940 the small car to the left is a Morris 8 Saloon but notice also the white K3 telephone kiosk. In 1895 when Knock Golf Club was formed the club played over a short 9-hole links course on land that lay between the Belfast & County Down Railway line at Knock Station (now the Comber Greenway) to the north, Knock River as it borders Cherryvalley to the south and close to Gilnahirk in the east. The Belfast News Letter of 2nd April 1895 carried an article entitled ‘The Links at Knock’: ‘The Golf Club lately formed at Knock in which there is already a large membership have just had their links put in order. 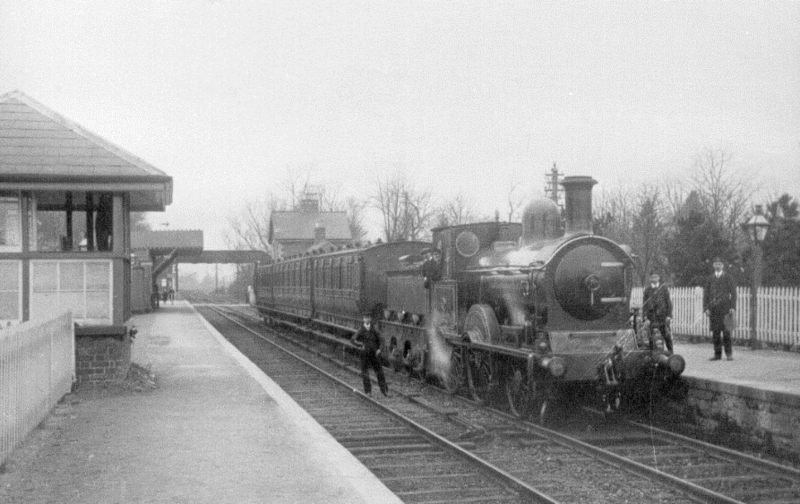 In addition to the grounds being immediately adjoining the Knock Station they present excellent hazards and cannot fail to prove a great attraction to city golfers.’ The steam locomotive looks like no.25 which entered service in 1892. 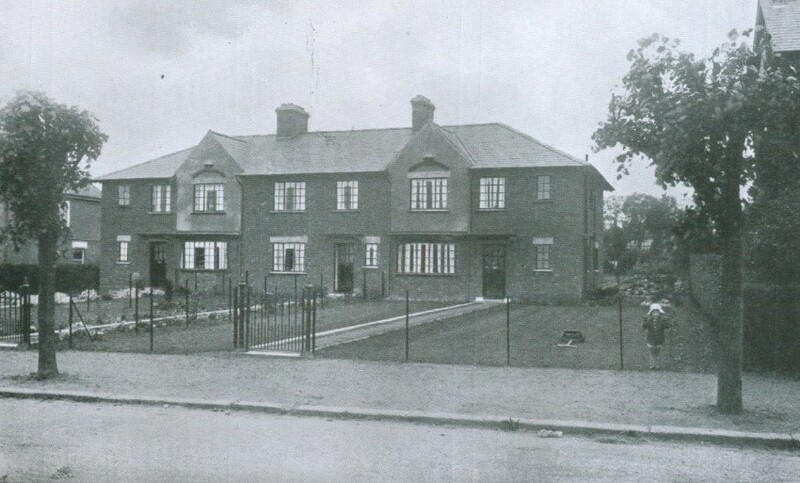 New houses were built by Belfast Corporation at Cherryvalley in the 1920s. Could this be a view of 39-43 Cherryvalley Park? The ‘Belfast Book, 1929’ notes: ‘Even a superficial examination is sufficient to show how immensely superior the houses are to the parlour and kitchen houses of pre-First World War times. Due regard has been paid to the provision of ample private open space in the form of gardens. There has been a complete breakaway from the pre-war (First World War) ideas of building narrow fronted houses, close up to the footpaths, and in long unbroken rows.’ Notice that the Lime trees look quite small and there are few hedges in sight. By 1935 R. J. Havard, as well as owning the Brae Stores and Post Office at Gilnahirk, also owned a grocery shop and garage at 46 Gilnahirk Road and it is now the site of Cherryvalley filling station. In the old photograph, top left, Alice Havard (daughter of R’J’ Havard) is 10 years old. 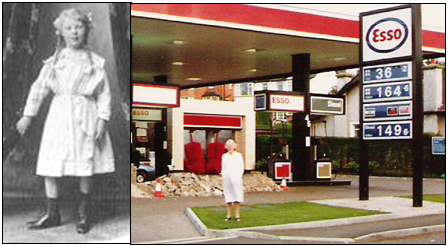 She made a return visit to the site of Havard’s shop, which was demolished some years ago, in 1994 when she was 88 years old to see how the area had changed. The ‘Castle’ cinema was located at the corner of Clara Street on the Castlereagh Road on a site vacated by Castlereagh Methodist Church. The cinema was opened in 1934 and the ceremony was attended by several civic dignitaries including the Lord Mayor of Belfast, Sir Crawford McCullagh who bravely made the prediction: ‘Cinemas have come to stay. No other form of amusement can give such pleasure to people for so little money as a cinema’. 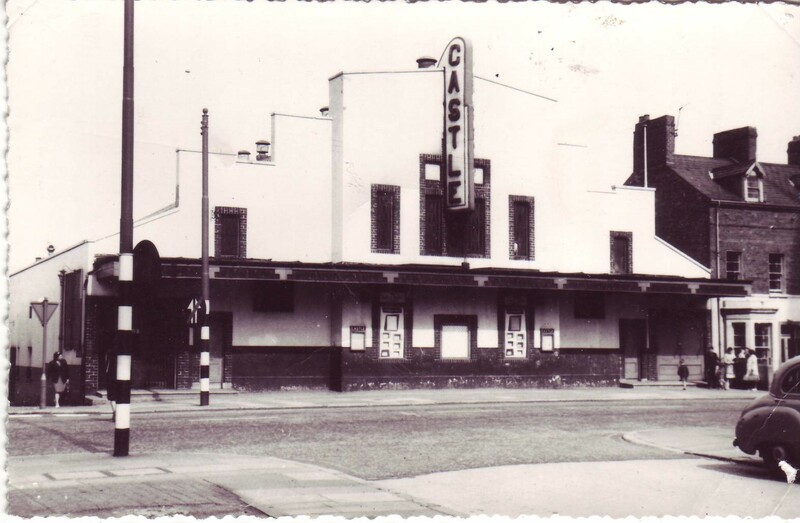 The Castle closed in 1966 when television became more popular (and cheaper) than cinema and the building is now occupied by the S & L furniture store at 82-86 Castlereagh Road. 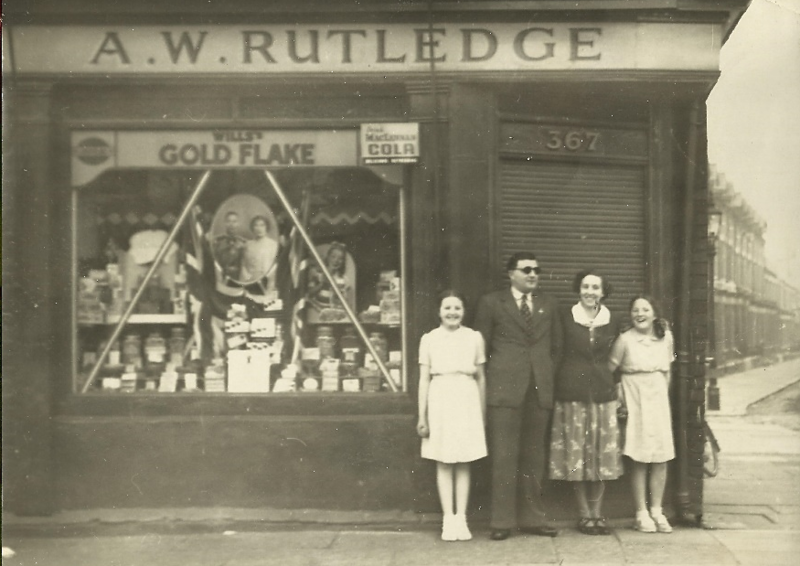 William and Sheila Rutledge stand outside their confectionery and tobacconist shop at 367 Woodstock Road with daughters Daphne and Lucinda. It is 1951, the year of the Festival of Britain exhibition which is being advertised in the shop window. The shop was located on the corner of Killowen Street which is the very next street to Ogilvie Street when heading to Belfast. Could this be a view of 39-43 Cherryvalley Park? Yes, that is what they are. In the early 1960s the Cheesewright family lived in 41 and in the late 1960s the Howe family lived in it.